Keep your child busy for hours with a creative day at the beach making fun and creative shapes and sculptures. Helps promote your child’s cognitive and imaginative skills. 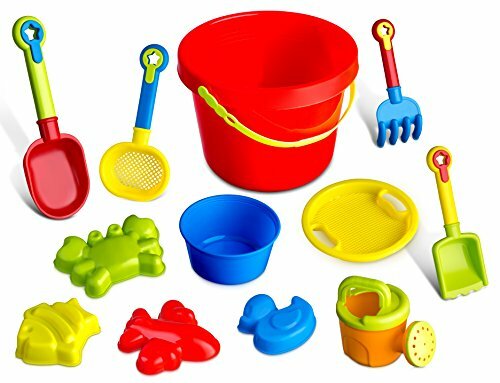 Set includes; pail bucket, 4 different shapes of sand mold shape, Bucket with sand sifter cover, watering pail and 4 hand held sand tools. 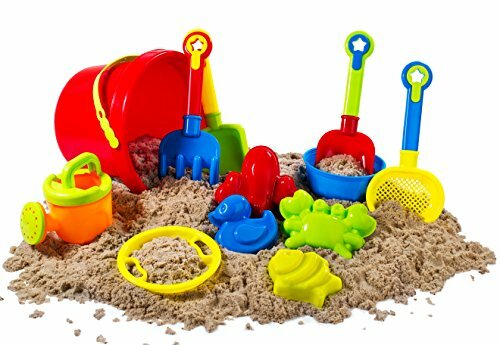 Perfect for the beach or a sand pit.